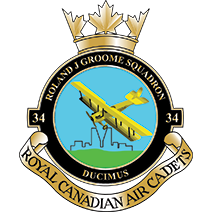 Members of the Royal Canadian Air Cadet Program participate in a variety of fun and challenging activities. There is something for everyone – no matter what your personal interests may be. The outdoor enthusiast will appreciate learning survival skills for flight crew. The athlete will appreciate physical education and recreation, including a variety of sporting activities like biathlon and Olympic-style marksmanship. The artists will find their niche in the music program. Every cadet has the opportunity to participate in flight activities, and every cadet has the opportunity to work to earn their glider pilot license and their private pilot license completely for free through the program. Whether earning a glider pilot licence or private pilot licence, these cadets wear their wings with a pride rarely found in today’s youth. The program is completely, 100%, free. There is no obligation or expectation whatsoever that cadets join the Canadian Forces or the Reserves. Check the FAQ page for commonly asked questions!